of you out there that dislike Internet Explorer, for whatever your reasons may be. via command line. In order to proceed, you must be logged into your computer as an administrator, or an account that has administrative rights. Log on to the computer by using an administrator account or an account that has administrative rights. Click Start, type cmd in the Search box, and then click cmd under Programs. Paste the command into the Command Prompt window, and then press Enter. Restart the computer.Once you have executed the command, you must restart your computer. Internet Explorer 11 is a fantastic browser and is the company’s latest internet browser available on Windows 7 and Windows 8. If you dislike Internet Explorer, hit the comments below and tell us why! We won’t judge you for wanting to remove Internet Explorer – everyone has their preferences! Just keep in mind that Internet Explorer 11 sports some unique and intuitive features that make it stand tall against its competitors. Microsoft is getting close to releasing the second version of the company’s Kinect for Windows hardware. In an official blog post, Microsoft is showing off the hardware design. "The sensor closely resembles the Kinect for Xbox One, except that it says “Kinect” on the top panel, and the Xbox Nexus – the stylized green “x” – has been changed to a simple, more understated power indicator," Microsoft stated in an official blog post. The sensor requires the hub and the power supply, which accepts three connections: the sensor, USB 3.0 output to PC, and power. The power supply itself supports voltages from 100 – 240 volts. Developers were able to get their hands on an alpha version of the hardware last summer, as well as early access to the SDK. Developers are expected to get a final version of the Kinect for Windows 2.0 hardware for free when it becomes available. Microsoft plans to offer more updates as we inch closer to the release of Kinect for Windows 2.0. According to ZDNet, Microsoft is planning on releasing this product by summer of this year. You can take a look at the new design below. The sensor requires a couple other components to work: the hub and the power supply. Tying everything together is the hub (top item pictured below), which accepts three connections: the sensor, USB 3.0 output to PC, and power. The power supply (bottom item pictured below) does just what its name implies: it supplies all the power the sensor requires to operate. The power cables will vary by country or region, but the power supply itself supports voltages from 100–240 volts. As this first look at the Kinect for Windows v2 hardware indicates, we’re getting closer and closer to launch. So stay tuned for more updates on the next generation of Kinect for Windows. Information Technology Service Providers use of Service Delivery Methodologies as a Trend in delivering successful IT Project. Information Technology (IT) Service Providers Service Providers are companies that provide other organisations with augmented ranges of IT services to enhance or supplement the organisation internal staff, IT technology delivery or IT technology needs. The services provided can range from delivering simple services such as IT desktop support through to more complex technical consulting, application development, or datacentre solutions. The IT service provider’s capability to successfully deliver these simple or complex IT projects to the organisation they are employed by can be aligned to two distinct items. The service delivery methodologies that the IT service providers use are varied and can be made up of parts from many methodologies as well as industry standards. Key methodologies in use in IT service providers and IT departments are Rapid Application Development (RAD), SCRUM, Waterfall development, Prototyping, ITIL, TOGAF, Prince 2, Six Sigma, ISO 27000 Series (International Organization for Standardization, 2005). (ABC-Groep, 2011). Delivering an IT project by identifying or not the correct service delivery methodologies and the success criteria’s can lead to a success or failure of the IT project. Identifying and aligning all parties involved in the IT project with the IT service provider’s service delivery methodology chosen and success criteria from the start of a project to an end of a project can streamline and drive toward having successful outcome. Wanting to do the IT project? Why should we use a specific methodology? Align everyone and stay aligned to this methodology? Methodology are we going to use and stick to? Are we going to report on? With so many methodologies and criteria’s used there can be misunderstanding based on lack of knowledge or disagreements based on miss alignment. Once alignment has been created on these two distinct items Methodology and Success Criteria IT Projects and IT Service Providers can be focussed more on the delivery and execution of the project and successful outcome. ABC-Groep, 2011. IT Buzzword Bingo, Ekeren,Antwerpen, : s.n. International Organization for Standardization, 2005. ISO 27000 Series, Geneva: International Organization for Standardization. Suchan, J., 2003. Define your project goals and success criteria, Seattle: Microsoft. SYMONDS, M., 2012. WHAT IS PROJECT SUCCESS?, s.l. : PROJECT MANAGEMENT ARTICLES. Earlier today in San Francisco, Satya spoke about the wide-ranging work Microsoft is doing to deliver a cloud for everyone and every device. Satya’s remarks certainly covered a lot of ground – including big announcements about the availability of Office on the iPad, as well as the release of what we call the Microsoft Enterprise Mobility Suite. Regarding the Enterprise Mobility Suite (EMS), I want to share some additional details about the upcoming general availability of Azure Active Directory Premium, as well as our latest updates to Windows Intune. If you haven’t had a chance to read this morning’s post from Satya, I really recommend checking in out here. In the post, Satya talks about the focus of our company being “Mobile First – Cloud First.” I love this focus! The mobile devices that we all use every day (and, honestly, could not live without) were built to consume the cloud, and the cloud is what enables these devices to become such a critical and thoroughly integrated part of our lives. For years I have emphasized that, as we architect the solutions that help organizations embrace the devices their users want to bring into work (i.e. BYOD), the cloud should be at the core of how we enable this. As I have worked across the industry with numerous customers it is clear that embracing a cloud-based infrastructure for Enterprise Mobility has become the go-to choice for forward-looking organizations around the world who want to maximize their Enterprise Mobility capabilities. Enterprise Mobility is a big topic – so big, in fact, that it extends beyond mobile device management (MDM) and the need to address BYOD. Now Enterprise Mobility stretches all the way to how to best handle new applications and services (SaaS) coming into the organization. Enterprise Mobility also has to address data protection at the device level, at the app level, and at the data level (via technologies like Rights Management). With these challenges in mind, we have assembled the EMS to help our customers supercharge their Enterprise Mobility capabilities with the latest cloud services across MDM, MAM, identity/access management, and information protection. On one point I do want to be very specific: The EMS is the most comprehensive and complete platform for organizations to embrace these mobility and cloud trends. Looking across the industry, other offerings feature only disconnected pieces of what is needed. When you examine what Microsoft has built and what we are delivering, EMS is simply the only solution that has combined all of the capabilities needed to fully enable users in this new, mobile, cloud-enabled world. Additionally, with Office now available on iPad, and cloud-based MDM from Intune, over time we will deliver integrated management capabilities for Office apps across the mobile platforms. You can check out Office for iPad product guide here. The capabilities packaged in the EMS are a giant step beyond simple MDM. The EMS is a people-first approach to identity, devices, apps, and data – and it allows you to actively build upon what you already have in place while proactively empowering your workforce well into the future. Azure Active Directory (AAD) is a comprehensive, cloud-based identity/access management solution which includes core directory services that already support some of the largest cloud services (including Office 365) with billions of authentications every week. AAD acts as your identity hub in the cloud for single sign-on to Office 365 and hundreds of other cloud services. Azure AD Premium builds on AAD’s functionality and gives IT a powerful set of capabilities to manage identities and access to the SaaS applications that end-users need. It delivers group management and self-service password reset – dramatically cutting the time/cost of helpdesk calls. It provides pre-configured single sign on to more than 1,000 popular SaaS applications so IT can easily manage access for users with one set of credentials. To improve visibility for IT and security, it includes security reporting to identify and block threats (e.g. anomalous logins) and require multi-factor authentication for users when these abnormalities are detected. The Azure AD Premium service will be generally available in April. 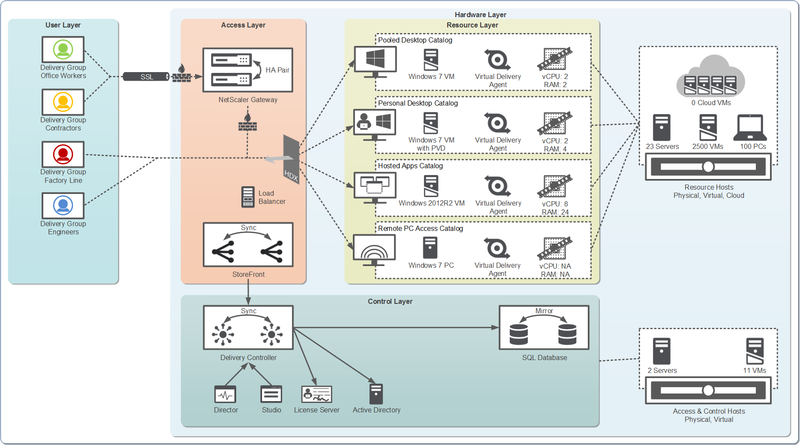 For more info, check out this new post from the Azure team. Windows Intune is our cloud-based MDM and PC management solution that helps IT enable their employees to be productive on the devices they love. Since its launch we have regularly delivered updates to this service at a cloud cadence. In October 2013 and January 2014 we added new capabilities like e-mail profile management for iOS, selective wipe, iOS 7 data protection configuration, and remote lock and password reset. Following up on these new features, in April we will also be adding more Android device management with support for the Samsung KNOX platform, as well as support for the upcoming update to Windows Phone. Microsoft Azure Rights Management is a powerful and easy-to-use way for organizations to protect their critical information when it is at rest or in transit. This service is already available today as part of Office 365, and we recently added extended capability for existing on-prem deployments. Azure RMS now supports the connection to on-prem Exchange, SharePoint, and Windows Servers. In addition to these updates, Azure RMS also offers customers the option to bring their own key to the service, as well as access to logging information by enabling access policy to be embedded into the actual documents being shared. When a document is being shared in this manner, the user’s access rights to the document are validated each time the document is opened. If an employee leaves an organization or if a document is accidentally sent to the wrong individual, the company’s data is protected because there is no way for the recipient to open the file. Now with these three cloud services brought together in the EMS, Microsoft has made it easy and cost effective to acquire the full set of capabilities necessary to manage today’s (and the future’s) enterprise mobility challenges. As we have built the Enterprise Mobility Suite we also have thought deeply about the need to really simplify how EMS is licensed and acquired. With this in mind, EMS is licensed on a per-user basis. This means that you will not need to count the number of devices in use, or implement policies that would limit the types of devices that can be used. The Enterprise Mobility Suite offers more capabilities for enabling BYO and SaaS than anyone in the market – and at a fraction of the cost charged elsewhere in the industry. This is a major opportunity for IT organizations to take huge leaps forward in their mobility strategy and execution, and Microsoft is committed to supporting every element of this cloud-based, device-based, mobility-centric transformation. EMS is available to customers via Microsoft’s Enterprise Volume Licensing channels beginning May 1st. There is so much we want to tell you about the Enterprise Mobility Suite and the innovations we are delivering here. This will be a big topic for us at TechEd North America and it will be a big part of the keynote on May 12. See you there! Microsoft just released the source code of one of its most important computer operating systems. The catch is that the software is over 30 years old. Yesterday, with permission from Microsoft, Silicon Valley’s Computer History Museum published the source code for MS-DOS, the text-based operating system that ran so many personal computers in the ’80s and turned Microsoft into one of the industry’s dominant software companies. For computer geeks, the move can provide a bit of fun — a glimpse into how software was built in the past — and it provides a nice metaphor for a Microsoft that’s evolving with the times. Microsoft was once vehemently opposed to open source software, believing that it would cut into its core business, but in a modern world where open source is so very important, the company is changing its tune. But the company shouldn’t stop at symbolic gestures. We love that the MS-DOS code is now available to the world at large (even if you can’t distribute your own changes to it, as with truly open source software). And we love that Microsoft has also released the code behind another seminal piece of software: Microsoft Word for Windows, originally released in 1990. But if the company is to regain its place at the head of the tech table, it needs to start open sourcing operating systems that are used today, not 30 years ago. Microsoft needs to open up the Windows Phone mobile OS — and maybe even desktop Windows. Google already gives away both the source code and the licenses for its Android and Chrome operating systems, and that strategy has been quite successful in stealing market share from Apple and Blackberry. Especially in the developing world, handset makers are flocking to Android, and there’s little reason for them to pay a fee for Windows Phone. There’s even reason to consider extending this policy to the desktop. Apple long ago open sourced the foundation of its OS X operating system through a project called Darwin, and now, it gives away new versions of the operating system to existing customers. Microsoft licenses Windows Phone to manufacturers for as little as $10 per device, and desktop versions of Windows may sell for even less than that. As the price of operating systems approaches zero, Microsoft is running out of excuses not to open up its operating systems. Plus, this could give the company added currency among the world’s software developers — something it desperately needs. Releasing source code resonates on so many different levels. It helps software spread. And it accelerates the pace of innovation. But it also engenders an added trust in the companies and individuals doing the open sourcing, a trust that spreads among developers as well as users. People are often more likely to use and build on top of software if they can see into the source code. The history of MS-DOS can actually provide a window into this phenomenon. Microsoft started out as a company that sold tools for programmers. But tiny outfit got its big break in 1980 when IBM asked for help building an operating system for its new desktop PC line. The result was MS-DOS. It was hugely successful, but a cloud has hung over it from the very beginning. For years a man named Gary Kildall claimed that parts of Microsoft’s operating systems were copied from an OS he built at a tiny company called Digital Research Inc. The questions that plagued Microsoft during its early years could have been resolved long ago had it simply published its source code under the same license it did today. Rivals wouldn’t be able to use it in their own products, but curious parties could have decided for themselves just how closely Redmond mimicked Kildall’s work. In similar fashion, Microsoft could help answer lingering questions about Windows. Rumors about NSA backdoors into Microsoft products have swirled since at least 1999, and trust in Microsoft and other large tech companies has only eroded since Edward Snowden leaked a large cache of documents showing the breadth and depth of NSA spying. Microsoft could help clear this up by publishing the full source code of its modern operating systems — even if it’s under a very restrictive license. According to reports, Microsoft is already looking to license certain Windows operating systems at no charge. This is different from open sourcing. But it’s a start. And through Nokia, the handset maker it’s acquiring for $7 billion, Microsoft may even build low-cost phones with Android, the poster child for how successful an open source OS can be. Now the question is whether Microsoft will go so far as to emulate Android with its own OSes. Yes, Microsoft would lose a revenue stream, but first and foremost, it needs to ensure that Windows is widely used. This will not only encourage developers to build software to the platform — something that will lead to even wider use. It will provide a widely used platform for all sorts of other Microsoft software and services as well as ads. That’s how Google makes it work. You may see open source DOS as a novelty. But it provides the seeds for a new Microsoft. Microsoft stole a march on its cloudy rivals today by announcing its Azure cloud services are available in China. Redmond revealed as far back as May 2013 that it had signed a deal with local player 21Vianet to provide Azure in the Middle Kingdom, and it has been around in beta for a few months. However, this week will see the service formally made available for the first time. Microsoft veep for cloud and enterprise marketing, Takeshi Numoto, proudly announced that the launch would make the firm the “first global company” to launch cloud services inside the Great Firewall. As noted by El Reg previously, it seems as if the loss of control to a local partner, an undeniable part of doing business in China, was a small price to pay for access to a potentially huge market. 21Vianet is a trusted and reliable partner who can deliver the quality and reliability that Microsoft Azure customers require, delivering Azure service from multiple locations in China to enable critical disaster recovery scenarios. In fact, 21Vianet has already delivered fully functional cloud services to more than 3,000 customers in China, including CNTV, LineKong, GMW.cn and Coca-Cola China. At the time of the May 2013 announcement it was reported that Microsoft had trained and certified over 100 21Vianet employees to use its Azure platform. Under the terms of the deal the US firm is only able to provide support and troubleshooting and must request access to the data centre from 21Vianet. Still, it’s something of a coup for Microsoft, and sees the firm go where the likes of Amazon and Google have so far failed to float a cloud into China. Redmond has in the past predicted China’s cloud computing market will grow from $297m in 2011 to $3.8bn in 2020, and Numoto quoted IDC stats that the market has expanded 40 per cent since 2012. Microsoft will be hoping its latest China venture is less controversial than Bing and Skype have been, although it will be forced to grant access to servers if requested by the authorities. Apple’s App Store today at 2PM ET / 11AM PT. Just like Office for iPhone, the iPad version will make use of Microsoft’s Office 365 subscription for editing features and will be available to subscribers at no extra cost. However, the iPad version will be free for reading and presenting purposes. That’s a significant change from the iPhone version, and one that will allow millions of iPad users to make use of Office for viewing documents. Word, Excel, and PowerPoint will all be included with Office for iPad, with a ribbon interface that’s similar to the Windows and Mac desktop versions. While Office for iPhone included some basic editing, the iPad version contains a lot more features. Microsoft is promising full file fidelity with the desktop versions, and Office for iPad includes support for re-flowing, formatting, and touch handles. In a demonstration, White showed how text will automatically re-flow around a picture once it’s inserted in a Word document. "THIS IS DEFINITELY NOT THE WINDOWS APP PORTED TO THE IPAD." Microsoft is also using chart recommendations in the Excel app, with the ability to preview live renders of charts that automatically update from data within the spreadsheet cells. Excel also has a custom numeric Keyboard that loads up for easy adding of equations and formulas. "This is definitely not the Windows app ported to the iPad," says White. Each application is native to iOS, and will support documents from the device and Microsoft’s OneDrive service. PowerPoint is also available, with support for editing slide decks and presenting direct from an iPad. "It’s a beautiful set of applications," says Microsoft CEO Satya Nadella, while describing the vision for Office 365 across devices and the cloud. "That’s our real commitment to Office 365, everywhere." It’s clear Nadella sees Office 365 as Microsoft’s cloud platform for taking Office from the desktop to every device, and Office for iPad is yet another step in that grand plan. Microsoft recently launched Office 365 Personal, a $6.99-per-month (or $69.99 a year) subscription service that provides access to the Office 2013 applications for Windows, and the ability to install and use the Mac and mobile versions of the application. 3.5 million people are subscribed to consumer versions of Office 365, a number that Microsoft obviously wants to improve upon with the introduction of Office for iPad today. Earlier this week, Facebook announced that it had acquired Oculus VR for $2 billion, and it turns out that this isn’t the only recent piece of M&A in the category of head-mounted wearable computing. Microsoft, we have discovered, has paid up to $150 million to buy IP assets related to augmented reality, head-borne computers, and related items from the Osterhout Design Group, a low-profile company that develops wearable computing devices and other gadgets, these days primarily for the military and other government organizations. As you might remember, we first broke the news that Microsoft was looking at acquiring ODG, or part of its assets, in September 2013, at a price tag of up to $200 million, depending on what went into the deal. Here’s what ended up happening: Microsoft was indeed in discussions with the company, and as we reported, the conversations were focused around whether Microsoft would try to buy the whole company outright or just intellectual property. Ultimately, it worked out to be the latter, for a price that TechCrunch understands is between $100 million and $150 million. After a source told us that the deal was done, we dug a bit further and managed also to get a confirmation from Ralph Osterhout himself, the low-profile inventor, founder and head of ODG. While he would not talk about any of the terms of the transaction (we got a price from another source), he tells me ODG will remain a separate company. The government continues to be ODG’s primary customer, although as Osterhout reminds us, the pace of technology right now is such that the kinds of innovations being created for enterprises and other organizations has very direct applicability to the consumer market, too — and the reverse as well when you think about the wider trend of the consumerization of IT. “In terms of what we’re doing [at ODG], we don’t make weapons. We make things that can help people do their jobs,” he says. “The real focus are features that are applicable in the consumer space, too.” In other words, ODG may already be talking to other companies for consumer products; or its door is open to that possibility. We have contacted Microsoft multiple times about this story but have not had a response. We’ll add it in when we do. The deal between Microsoft and Osterhout actually closed last November, with the patents quietly transferring in January 2014. It’s not clear what Microsoft intends to do with the patents but there are a couple of very clear directions it could take. The first is developing its own head-borne computing devices. There has been a lot of speculation about what Microsoft might choose to do in this department. One clear area of opportunity for the company is in the area of its Xbox gaming and entertainment console. Developing a headset for that could work well with the company’s Kinect gesture-based features, but also potentially as a new screen for experiencing not just games but other media. Interestingly one of the patents I noticed links the headset up with a separate device that looks like a wristwatch. Pointedly, Zuckerberg was somewhat dismissive of how far Microsoft (and later, Sony) has gotten on this front. There is also the area of enterprise services. As we have pointed out before, Microsoft continues to focus on how it can hone and strengthen its relationships with business customers. While the Nokia deal will help it create more integrated software and hardware products to address the increasingly essential area of enterprise mobility, you can imagine that Microsoft is undoubtedly thinking of other enterprise hardware to extend that further. The second direction Microsoft could take with Osterhout’s IP is doing what many large tech companies are these days: safeguarding their own technologies and current/future products while also making sure that they get a cut of royalties on other successful products if they feel they could infringe on IP. This is not a route unfamiliar to Microsoft. Some have estimated the company could make as much as $2 billion annually from Android royalties. Just yesterday, Microsoft extended its Google royalty pool after it inked a patent deal with Dell covering not just Android but Chrome OS devices made by the latter company. Osterhout — a career inventor who has created gadgets that range from shooting pens and early ID systems based on iris scans through to scuba and naval equipment — rarely talks to the press (thank you again for talking to me, Ralph). So I took the opportunity to ask him what he thought of the $2 billion deal between Facebook and the virtual reality headgear maker. At the same time, such a big acquisition is great news for everyone working in the same area as Oculus. “An immersive experience [such as you can have with] head-borne wearables is a big deal,” he says. While today is the age of the mobile device, longer term, echoing some of what Zuckerberg said about Facebook’s interest in Oculus, there will come a time when even those light, handheld devices will feel cumbersome.